Thousand of people strive to get the perfect pout, fuller lips without the botox and for an affordable price. 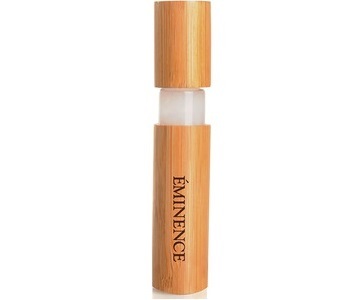 The following is a review for Eminence Organic Skin Care Cinnamon Kiss Lip Plumper, a product that claims that it can give the user fuller looking lips, by pumping up the volume as a result of its special formulation. The manufacturer further states that this lip plumper will leave lips naturally moisturized and give them a healthy appearance. The active ingredients listed for this beauty product comes across as being completely natural and not derived from chemical sources. Cinnamon is a known stimulant that improves and promotes blood flow, the same goes for the paprika included in this product. Jojoba oil is used as the main carrier oil and moisturizing agent, which would keep the lips hydrated. Pumpkin seed oil, pomegranate seed oil, clove oil, and blueberry seed oil all have many beneficial properties, such as antioxidant and antimicrobial uses. While the oils and ingredients used in the making of this product all seem to be above the board, it is unclear as to how much of each is included. This makes it difficult to establish how effective it would be as a lip volumizer. According to the information available from the manufacturer’s website, this lip plumper should be used in the following way. Apply light layers of this product on the lips, with the applicator wand that comes with it. When, how often and other indications relating to the use of this product were not stipulated. Unfortunately, the price and purchase of this product are dependent on opening an online account with the manufacturer. However, the website does imply that consumers can contact one or more of their associated spas to buy the product. Due to the fact that everyday consumers are not able to buy this lip plumper from the manufacturer directly, there are no guarantees connected to the purchase of this product. As such we could find no mention of a returns policy. This being said, we did come across a limited amount of past customer feedback that seemed to be positive. In conclusion to our review for Eminence Organic Skin Care Cinnamon Kiss Lip Plumper, we found aspects of this product that we both liked and disliked. The seemingly natural ingredients and lack of additives in this lip plumper were appreciated. However, there were a few pieces of information missing, making it hard for us to completely determine whether or not this was the best product on the market. These included a lack of return policy, limited usage directions, and product pricing. Another downside to this product is that we were unable to determine what percentage of the ingredients were active and inactive, the product also lacks patented ingredients which have been proven to deliver measurable results.